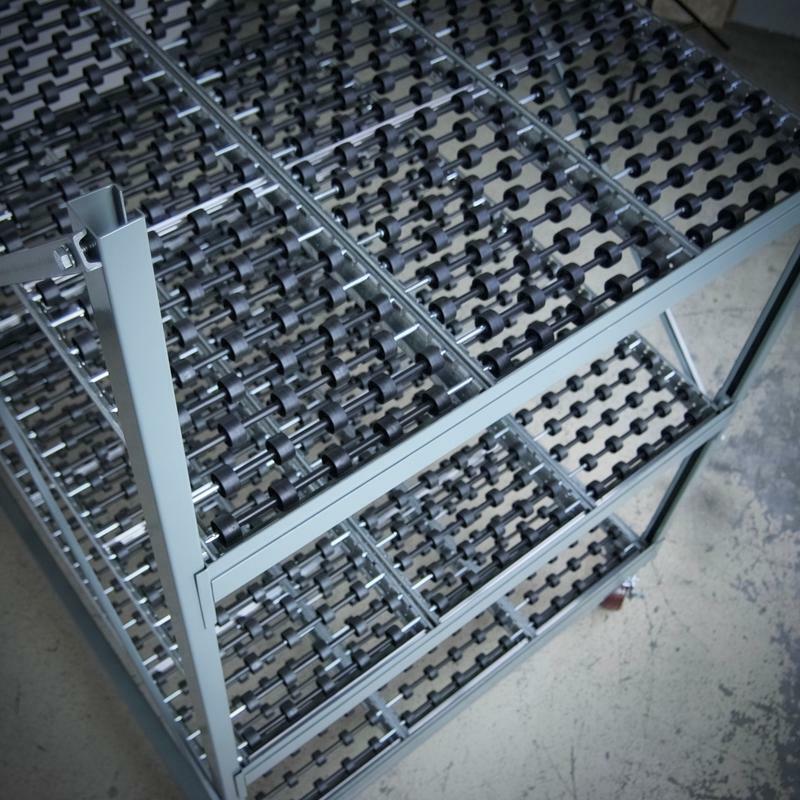 Stackbin FlowRacks have a foundational steel structure, heavy-duty full locking casters, made as all of our products are, heavy-duty and ready to handle the daily demands of industry. 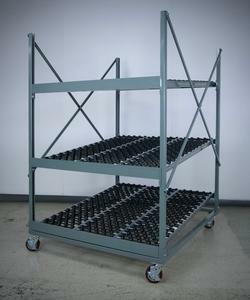 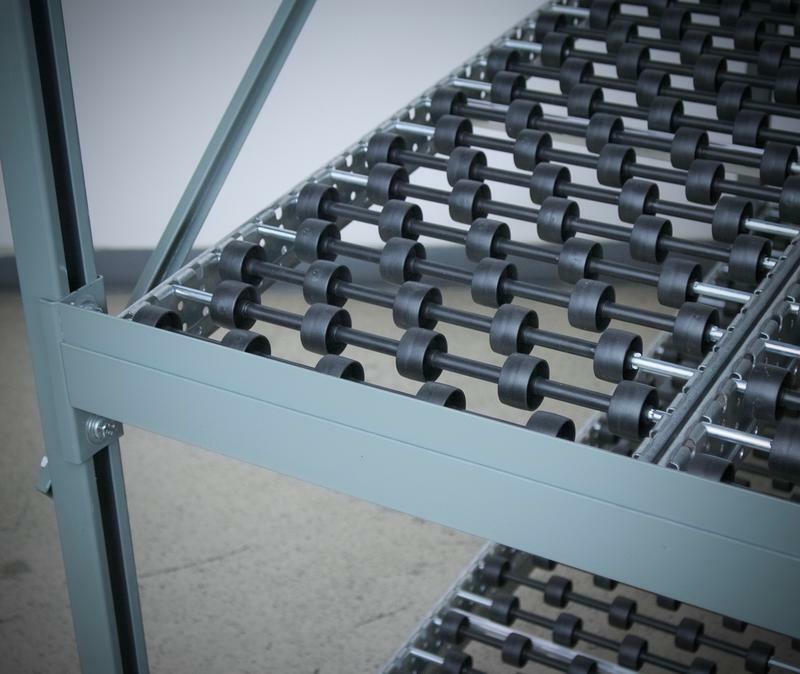 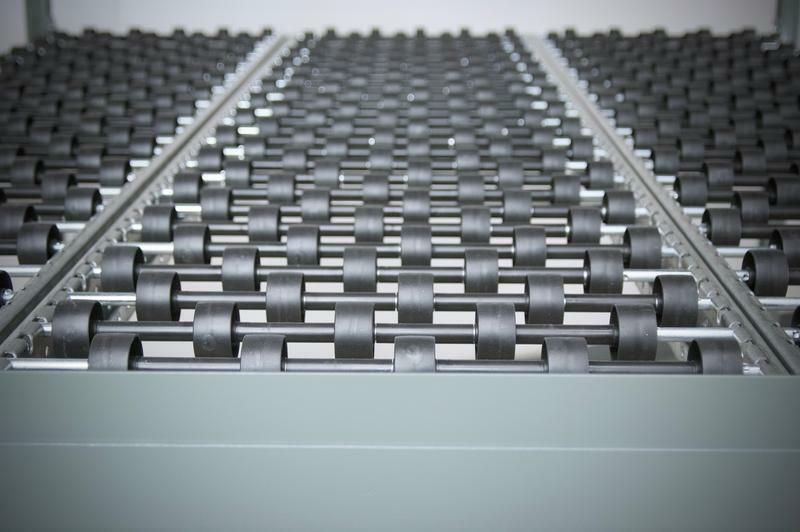 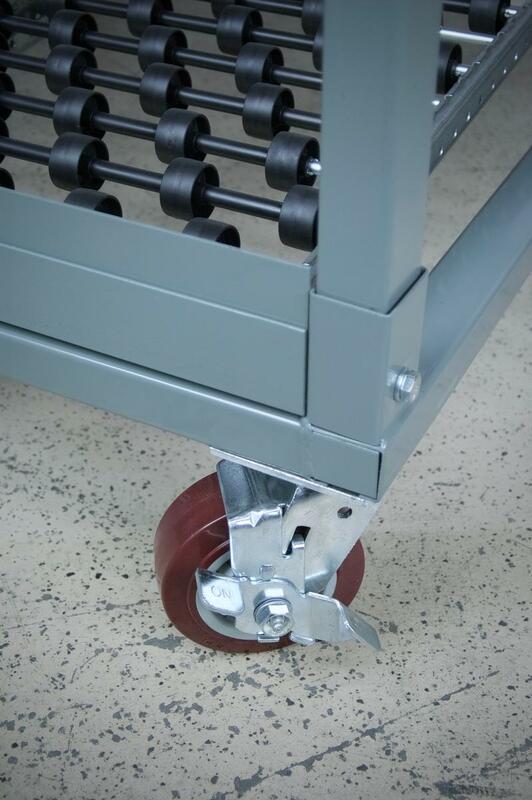 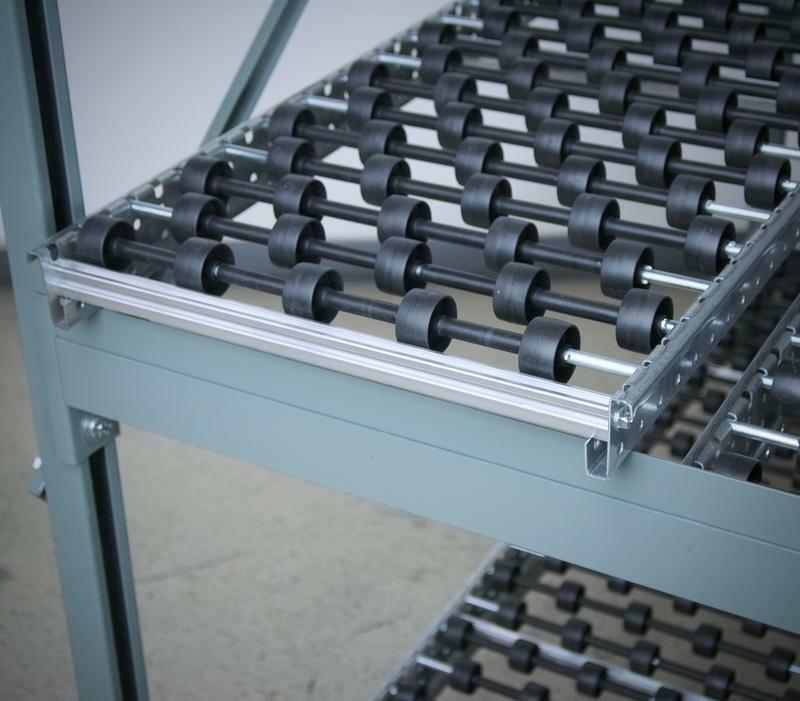 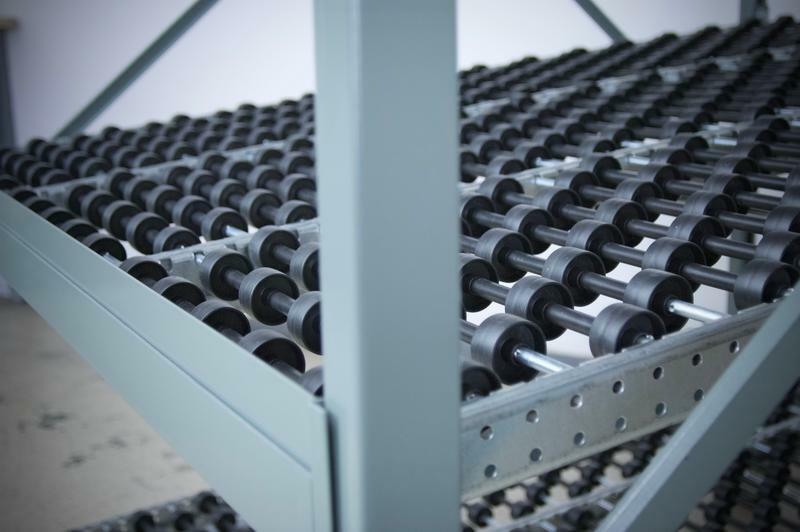 The benefit of the staggered polypropylene skate wheel design of the FlowRack shelves with their full wheel bed accomodates cartons of all sizes and shapes to flow to the front of the rack, something not possible with the 'pencil-roller' style conveyor lanes. 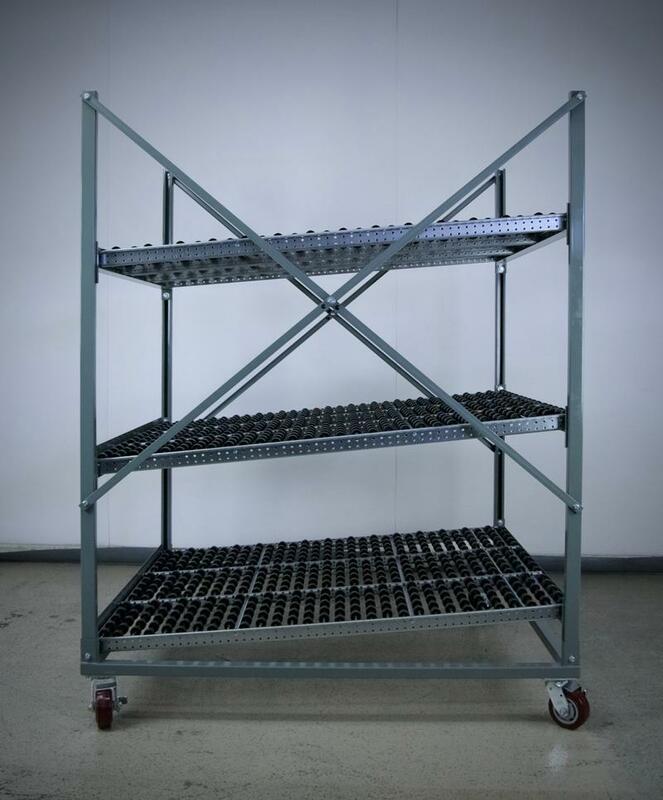 All shelves are adjustable in height and angle, with a stop lip on the front to keep product or supplies on the shelves and easily accessible to the front of the rack. 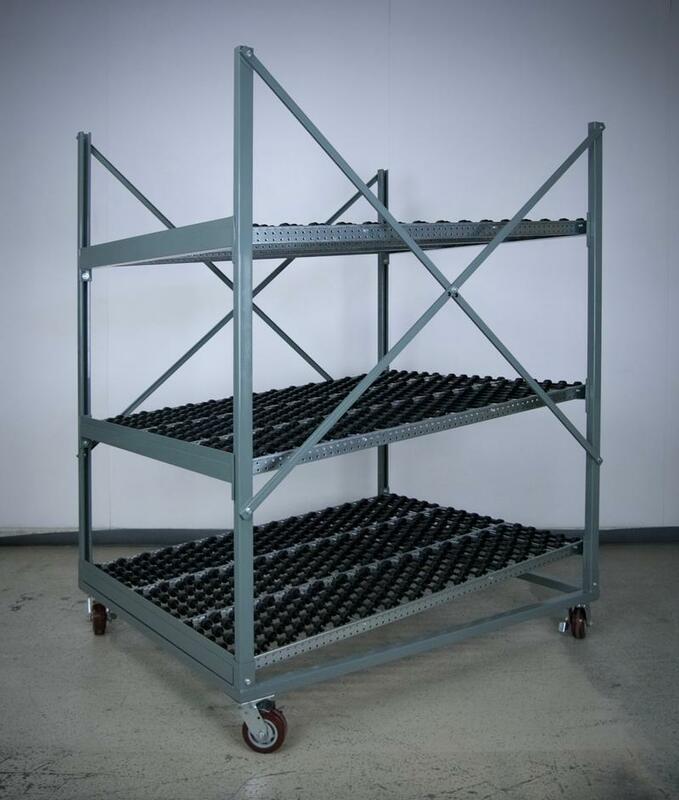 We've included some various sizes of rack to choose from, please give us a call if your application requires something custom.